After probably twenty years away from Games Workshop games I’ve dipped my toes in again with Warhammer Underworlds: Nightvault. For the last year or two I’ve been painting Star Wars: Imperial Assault miniatures and enjoying that, so when the Warhammer Yokohama shop opened up nearby I was tempted to pickup one of the smaller skirmish games, but managed to resist. A week later a friend wanted to get started with Shadespire and form a group, so I decided to pickup the Magore’s Fiends warband. 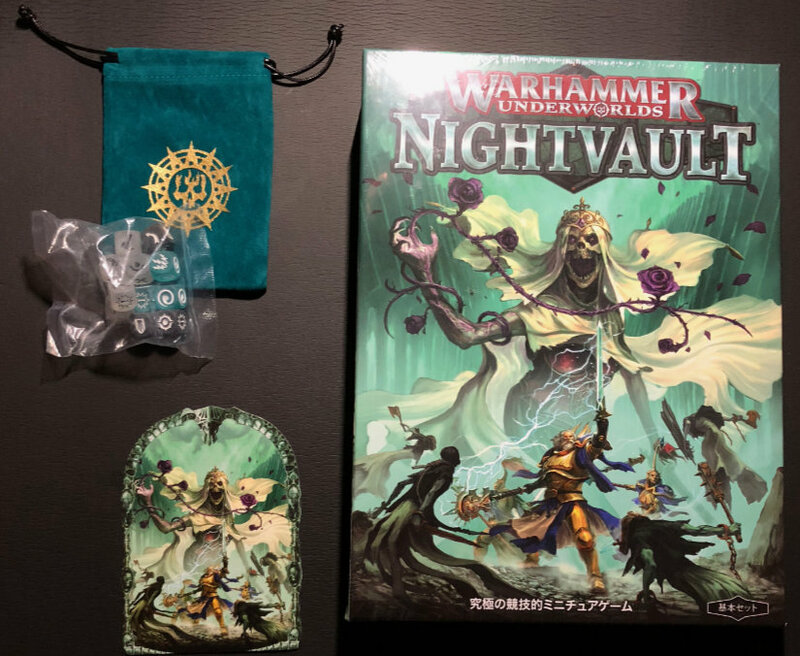 Cue the Nightvault release and its bonus items still being available and my wallet got a bit lighter.